While I was home in Minnesota, my sister wanted to accomplish as much wedding stuff as we could so that I would actually get to be there. 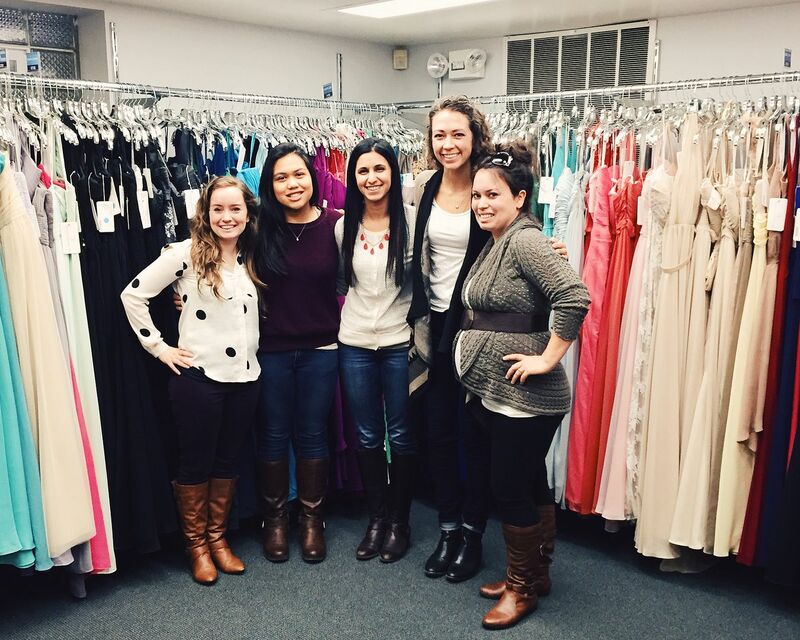 We started out by going bridesmaid dress shopping. We scheduled it early just in case we did not find anything and needed another appointment. Good thing too because we ended up going three times. 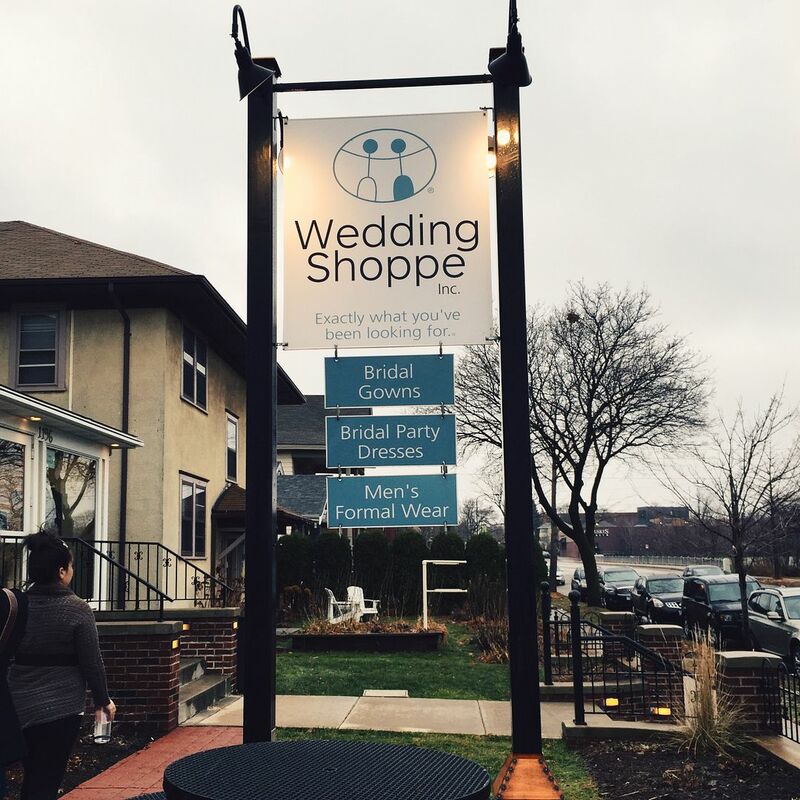 We started at the Wedding Shoppe in downtown St. Paul. Our experience here was not the greatest. The lady that was supposed to be helping us we think was new and she was not very helpful at all. We had to ask her to clip dresses every time we tried one on instead of her jumping to help us. If you have ever been bridesmaid dress shopping you would understand how frustrating this is. Most dresses on the rack come in larger sizes so that more people can try them on so you usually need to have someone tighten the dresses and clip them so that you get an idea of how it would fit in your size. 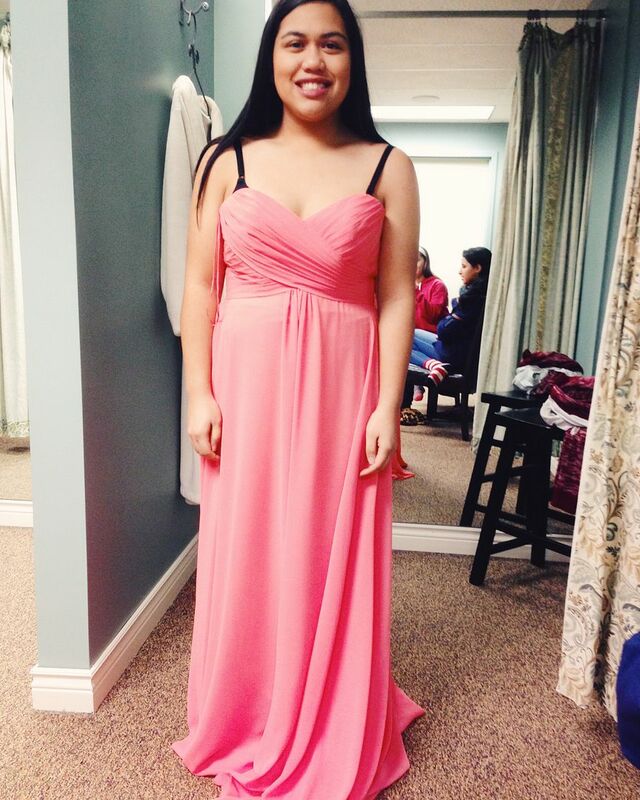 We tried on a bunch of different dresses, found a few we liked, but my sister was not ready to pick one as "the one". We made two more appointments, one at a different dress shop and another at the Wedding Shop, just in case. 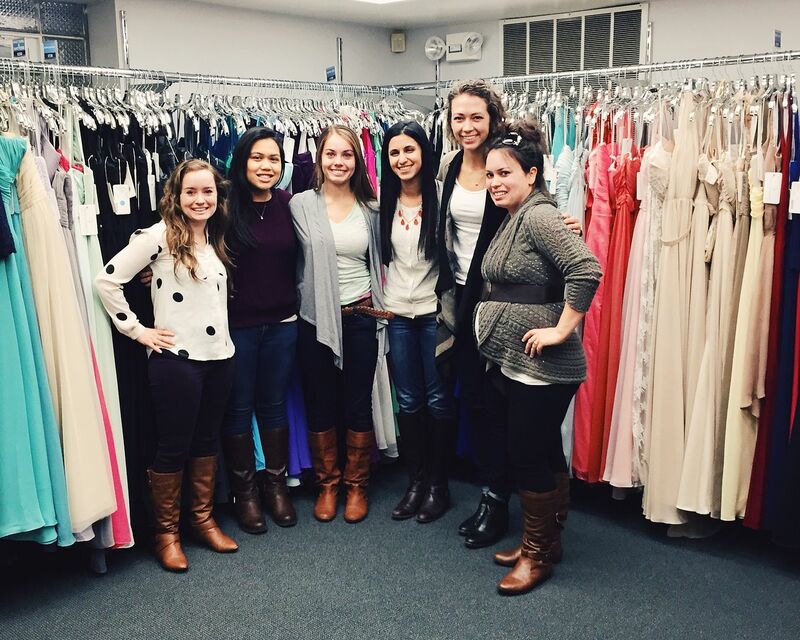 The next appointment was at Bella Bridal in Woodbury. This was my first time here and I will sing their praises. They were so attentive and were super organized. They were fantastic. Such a huge contrast from The Wedding Shoppe. 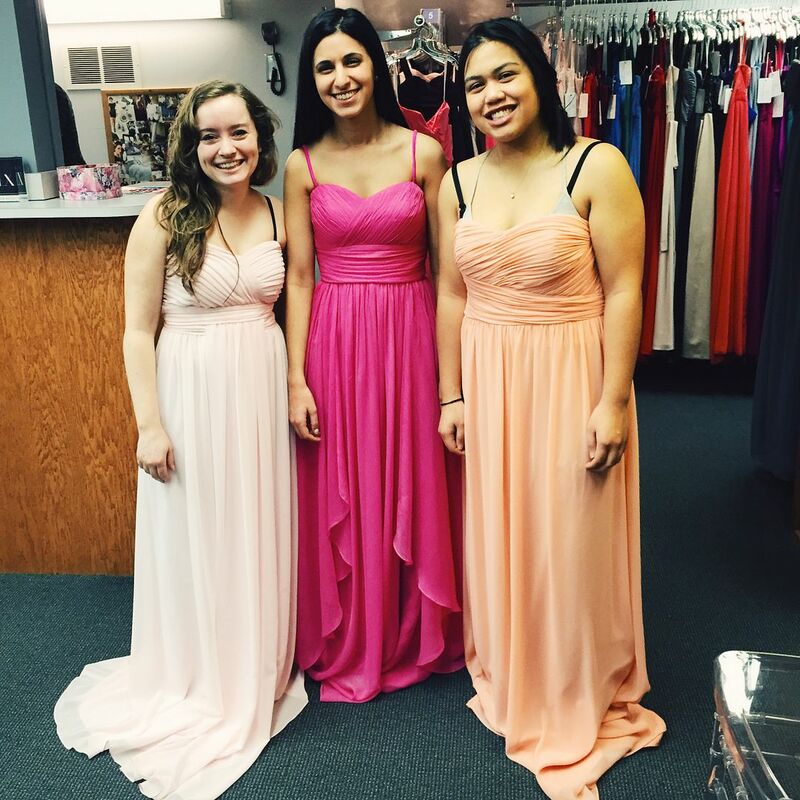 If you live in Minnesota and are looking for bridesmaid dresses this is the place to go to. 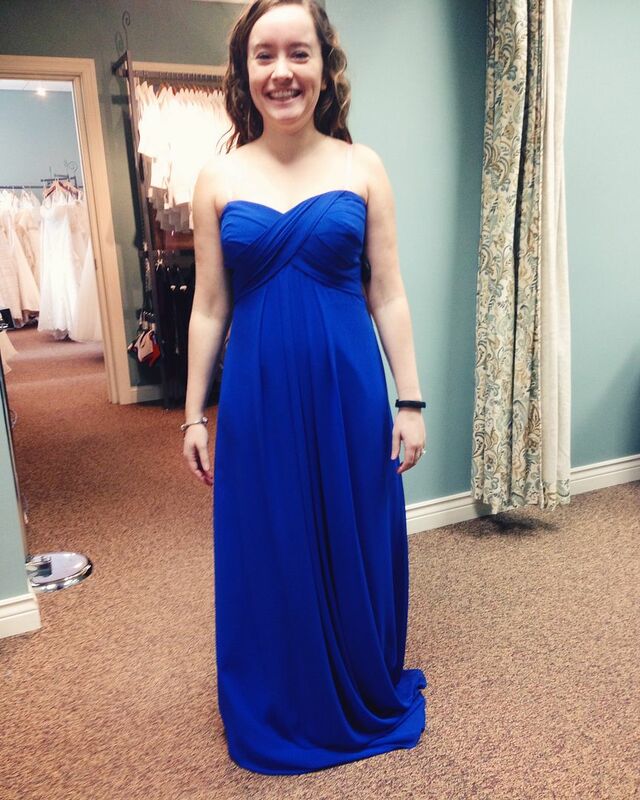 We tried on a bunch of different dresses, one by one narrowing it down. Until we landed on this dress. It had everything we wanted and all of us fell in love. My sister looked at the color chart and this is where we hit trouble. My sister had a bright and bold blue in mind and this blue (on the right) was not what she had envisioned. It was hard to tell from the tiny fabric sample they had and they did not have a dress in a full sized dress to see color options. So we left for the second time with no dress picked out. We needed more information on color. We spent the next two days researching color. This designer had by far the best dresses in the type we were looking for, but their color choices were limited. 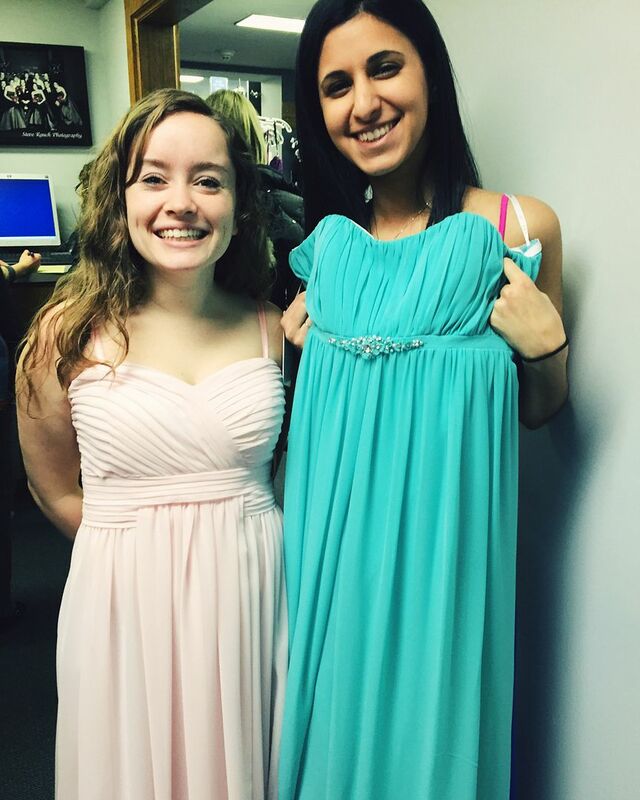 It came down to the decision, what was more important, color or dress? Having the perfect color on an okay dress or a fantastic dress with an okay color. For our third and final appointment, only my sister, one of her friends and I were able to go shopping. We headed back to the Wedding Shoppe knowing they had the dark blue dress if we wanted to look at it again and they also had other options we had researched in advance. Luckily, they had a full dress in the blue we wanted to see. She was still unconvinced that this color was what she wanted. So we searched again for an amazing dress in the perfect color. 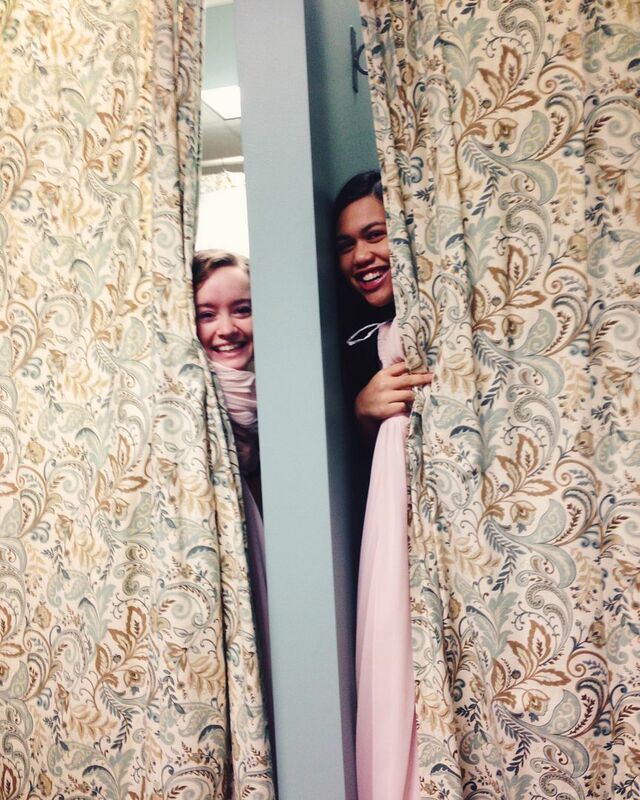 We tried on a bunch of dresses again, but nothing was working. We were starting to think we were going to have to settle on the not great color. We were about to leave when we realized that we needed to look at the dress that we had liked the most from the first day. We tried it on again and looked into the colors they offered and there were much better options. We finally had a decision! Us bridesmaids had all liked this dress from the first day, but my sister was hesitant. Now that we knew it came in the color she wanted, she was sold. 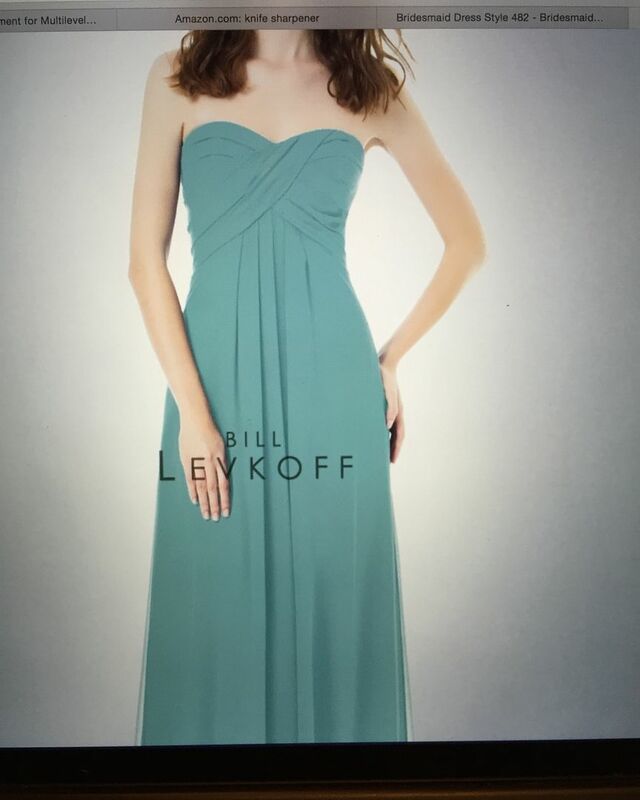 So we ordered the pink dress in the bright blue color she wanted. 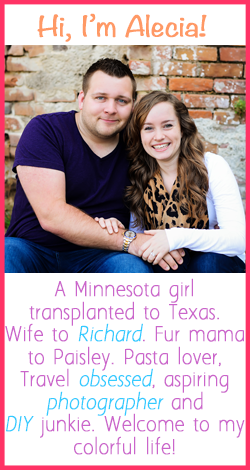 I am glad that we were able to make a decision before I had to head back to Louisiana. The decision had to be made before end of February, which is before I have any plans to come back to Minnesota. After all of that, we have the dress and we have one more thing crossed off our list!